Regulation (EC) No 661/2009 lays down basic requirements for the type-approval of motor vehicles of categories M2, M3, N2 and N3 with regard to the installation of lane departure warning systems. It is necessary to set out the specific procedures, tests and requirements for such type-approval. Regulation (EC) No 661/2009 provides that the Commission may adopt measures exempting certain vehicles or classes of vehicles of categories M2, M3, N2 and N3 from the obligation to install lane departure warning systems, where following a cost/benefit analysis and taking into account all relevant safety aspects, the application of those systems proves not to be appropriate to the vehicle or class of vehicles concerned. The cost/benefit analysis has proven that the application of lane departure warning systems to semi-trailer towing vehicles of category N2 with a maximum mass exceeding 3,5 tonnes but not exceeding 8 tonnes is not appropriate as it would generate more costs than benefits. In addition, it is considered that due to their typical use in specific traffic conditions, the installation of lane departure warning systems would generate only limited safety benefits for category M2 and M3 vehicles of Class A, Class I and Class II, and for articulated buses of category M3 of Class A, Class I and Class II, as well as for certain special purpose vehicles, off-road vehicles and vehicles with more than three axles. Those vehicles should therefore be exempted from the obligation to install those systems. vehicles of categories M2, M3, N2 and N3 with more than three axles. ‘common space’ means an area on which two or more information functions may be displayed, but not simultaneously. 1. The manufacturer or his representative shall submit to the type-approval authority the application for EC type-approval of a vehicle with regard to lane departure warning systems. 4. For the purposes of paragraph 3, the type-approval authority shall issue an EC type-approval certificate established in accordance with the model set out in Part 2 of Annex I. Done at Brussels, 23 April 2012. Information document No … relating to the EC type-approval of a vehicle with regard to lane departure warning systems. with regard to Commission Regulation (EU) No 351/2012 as amended. (2) Classified according to the definitions set out in Part A of Annex II to Directive 2007/46/EC. (3) Delete where not applicable (there are cases where nothing needs to be deleted when more than one entry is applicable). In the case of a centre-axle trailer, the axis of the coupling shall be considered as the foremost axle. In the case of trailers, the lengths shall be determined in accordance with item No 6.1.2. of Standard ISO 612:1978. (9) OJ L 233, 25.8.1997, p. 1. 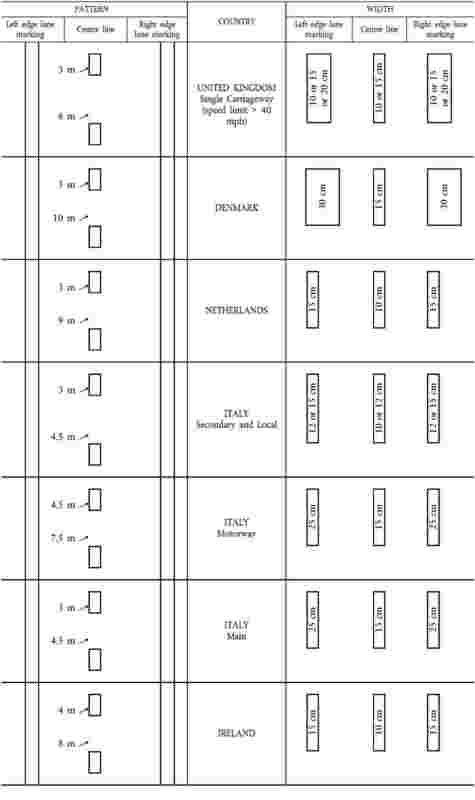 The width of vehicles of category M1 shall be determined in accordance with item No 6.2. of Standard ISO 612:1978. 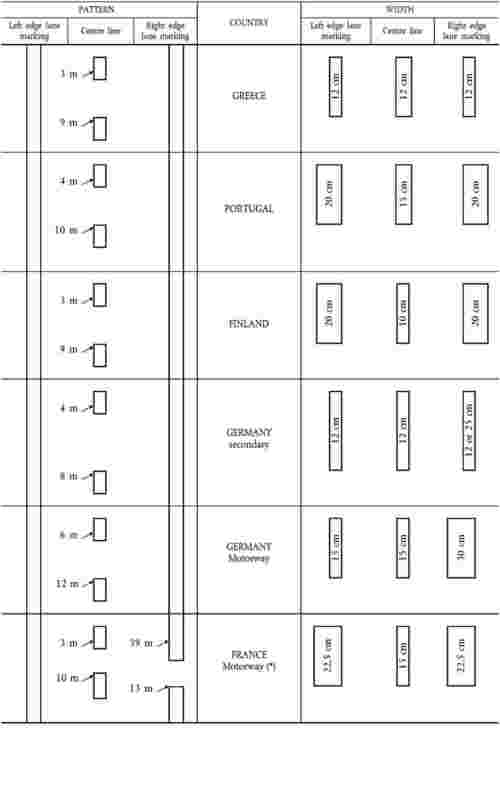 For vehicles other than those of category M1 the width shall be determined in accordance with point 2.4.2. of Annex I to Directive 97/27/EC. (11) The mass of the driver and, if applicable, of the crew member is assessed at 75 kg (subdivided into 68 kg occupant mass and 7 kg luggage mass according to ISO Standard 2416 - 1992), the fuel tank is filled to 90 % and the other liquid containing systems (except those for used water) to 100 % of the capacity specified by the manufacturer. (12) With respect to trailers, maximum speed permitted by the manufacturer. (13) Delete where not applicable. (14) If the means of identification of type contains characters not relevant to describe the vehicle, component or separate technical unit types covered by this information, such characters shall be represented in the documentation by the symbol ‘?’ (e.g. ABC??123??). (15) As defined in Section A of Annex II to Directive 2007/46/EC. 1.1.1. The effectiveness of the lane departure warning system (LDWS) shall not be adversely affected by magnetic or electrical fields. This shall be demonstrated by compliance with UNECE Regulation No 10 (1). 1.2.1. Whenever the system is active, as specified in point 1.2.3., the LDWS shall warn the driver if the vehicle crosses over a visible lane marking for the lane in which it is running, on a road with a directional form that varies between straight and a curve having an inner lane marking with a minimum radius of 250 m, when there has been no purposeful demand to do so. the warning mentioned in point 1.2.1. may be suppressed when there is a driver action which indicates an intention to depart from the lane. 1.2.2. The system shall also provide the driver with the warning specified in point 1.4.2., when tested in accordance with the provisions of point 2.6. (failure detection test). The signal shall be constant. 1.2.3. The LDWS shall be active at least at vehicle speeds above 60 km/h, unless manually deactivated in accordance with point 1.3. The LDWS function shall be automatically reinstated at the initiation of each new ignition ‘on’ (run) cycle. A constant optical warning signal shall inform the driver that the LDWS function has been deactivated. The yellow warning signal specified in point 1.4.2. may be used for this purpose. one warning means, to be chosen between haptic and acoustic, with spatial indication about the direction of unintended drift of the vehicle. Where an optical signal is used for the lane departure warning, it may use the failure warning signal as specified in point 1.2.2. in a flashing mode. 1.4.2. The failure warning referred to in point 1.2.2. shall be a yellow optical warning signal. 1.4.3. The LDWS optical warning signals shall be activated either when the ignition (start) switch is turned to the ‘on’ (run) position or when the ignition (start) switch is in a position between the ‘on’ (run) and ‘start’ that is designated by the manufacturer as a check position (initial system (power-on)). This requirement does not apply to warning signals shown in a common space. 1.4.4. The optical warning signals shall be visible even by daylight; the satisfactory condition of the signals must be easily verifiable by the driver from the driver’s seat. 1.4.5. When the driver is provided with an optical warning signal to indicate that the LDWS is temporarily not available, for example due to inclement weather conditions, the signal shall be constant. The failure warning signal specified in point 1.4.2. may be used for this purpose. 1.5.1. At a periodic technical inspection it shall be possible to confirm the correct operational status of the LDWS by a visible observation of the failure warning signal status, following a ‘power-ON’ (off – system OK, on – system fault present). In the case of the failure warning signal being in a common space, the common space must be observed to be functional prior to the failure warning signal status check. 1.5.2. At the time of type-approval, the means to protect against simple unauthorised modification of the operation of the failure warning signal chosen by the manufacturer shall be confidentially outlined. Alternatively, this protection requirement is fulfilled when a secondary means of checking the correct operational status of the LDWS is available. 2.1. The manufacturer shall provide a brief documentation package which gives access to the basic design of the system and, if applicable, the means by which it is linked to other vehicle systems. The function of the system shall be explained and the documentation shall describe how the operational status of the system is checked, whether there is an influence on other vehicle systems, and the method(s) used in establishing the situations which will result in a failure warning signal being displayed. 2.2.1. The test shall be performed on a flat, dry asphalt or concrete surface. 2.2.2. The ambient temperature shall be between 0 °C and 45 °C. The visible lane markings used in the lane departure warning tests of point 2.6. shall be one of those identified in the Appendix to this Annex, with the markings being in good condition and of a material conforming to the standard for visible lane markings applied in the Member State concerned. The visible lane marking layout used for the testing shall be recorded. The vehicle manufacturer shall demonstrate, through the use of documentation, compliance with all the other lane markings identified in the Appendix to this Annex. Any such documentation shall be appended to the test report. Where the vehicle type can be equipped with different variants of the LDWS with regional specific adjustments, the manufacturer shall demonstrate through documentation that the requirements of this Regulation are fulfilled in all variants. 2.2.4. The test shall be performed under visibility conditions that allow safe driving at the required test speed. The vehicle may be tested at any condition of load, the distribution of the mass among the axles being that stated by the vehicle manufacturer without exceeding any of the maximum permissible mass for each axle. No alteration shall be made once the test procedure has begun. The vehicle manufacturer shall demonstrate through the use of documentation that the system works at all conditions of load. 2.3.2. The vehicle shall be tested at the tyre pressures recommended by the vehicle manufacturer. 2.3.3. Where the LDWS is equipped with a user-adjustable warning threshold, the test as specified in point 2.5. shall be performed with the warning threshold set at its maximum lane departure setting. No alteration shall be made once the test procedure has begun. With the vehicle stationary check that the optical warning signal(s) comply with the requirements of point 1.4.3. 2.5.1. Drive the vehicle at a speed of 65 km/h +/- 3 km/h into the centre of the test lane in a smooth manner so that the attitude of the vehicle is stable. Maintaining the prescribed speed, gently drift the vehicle, either to the left or the right, at a rate of departure of between 0,1 and 0,8 m/s so that the vehicle crosses the lane marking. Repeat the test at a different rate of departure within the range 0,1 and 0,8 m/s. Repeat the above tests drifting in the opposite direction. 2.5.2. The LDWS shall provide the lane departure warning indication mentioned in point 1.4.1. at the latest when the outside of the tyre of the vehicle’s front wheel closest to the lane markings crosses a line 0,3 m beyond the outside edge of the visible lane marking to which the vehicle is being drifted. 2.6.1. Simulate a LDWS failure, for example by disconnecting the power source to any LDWS component or disconnecting any electrical connection between LDWS components. The electrical connections for the failure warning signal of point 1.4.2. and the LDWS disable control of point 1.3. shall not be disconnected when simulating a LDWS failure. 2.6.2. The failure warning signal mentioned in point 1.4.2. shall be activated and remain activated while the vehicle is being driven and be reactivated after a subsequent ignition ‘off’ ignition ‘on’ cycle as long as the simulated failure exists. 2.7.1. If the vehicle is equipped with means to deactivate the LDWS, turn the ignition (start) switch to the ‘on’ (run) position and deactivate the LDWS. The warning signal mentioned in point 1.3.2. shall be activated. Turn the ignition (start) switch to the ‘off’ position. Again, turn the ignition (start) switch to the ‘on’ (run) position and verify that the previously activated warning signal is not reactivated, thereby indicating that the LDWS has been reinstated as specified in point 1.3.1. If the ignition system is activated by means of a ‘key’, the above requirement shall be fulfilled without removing the key. (1) OJ L 116, 8.5.2010, p. 1. 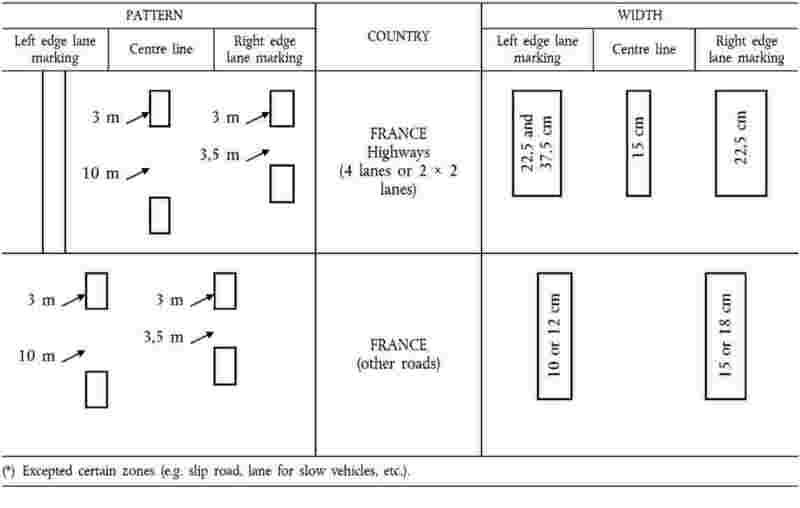 For the purpose of the test procedures referred to in points 2.2. and 2.5. of Annex II, the test lane width shall be greater than 3,5 m.
The visible lane markings identified in Table 1 are assumed to be white, unless otherwise indicated in this Appendix. 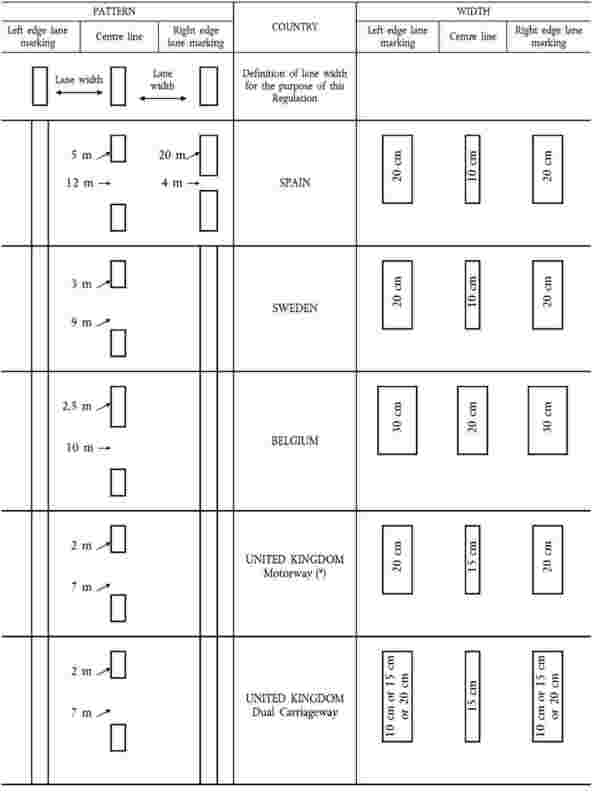 Table 1 shall be used for approval in accordance with points 2.2. and 2.5. of Annex II to this Regulation.